Art In Motion customized this stock motorcycle trailer that our customer bought at Harbor Freight. The customer wanted to so that take their two pretty dogs on long rides behind their trike. 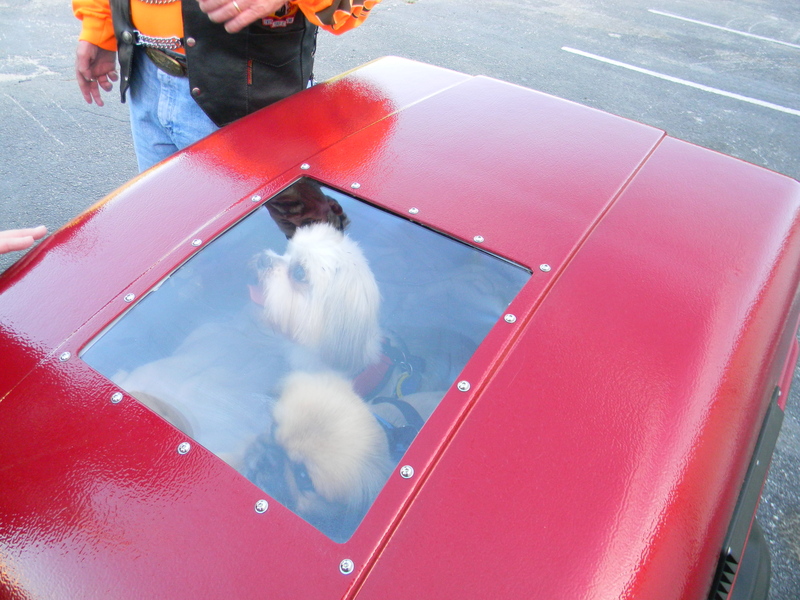 We added a lot of features to the trailer including a window, multiple vents, color matched paint to the trike, and a fan to make sure the dogs get lots of wind while riding. The customer reports that the dogs absolutely love the trailer – whenever they stop somewhere the dogs come out of the trailer, run around, and then hop right back in. Hope you enjoy these cute photos ! We sure enjoyed this customization.